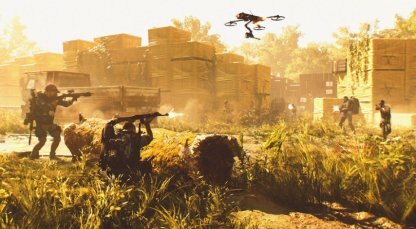 Read this Tom Clancy's The Division 2 guide to learn more about enemy archetypes! 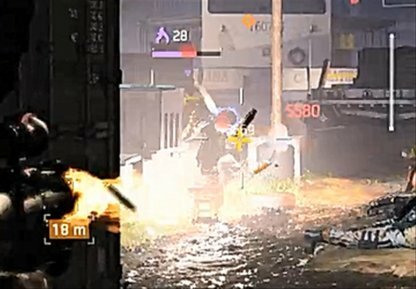 Find out how to tackle each enemy type, their weak points, combat tips & strategies. 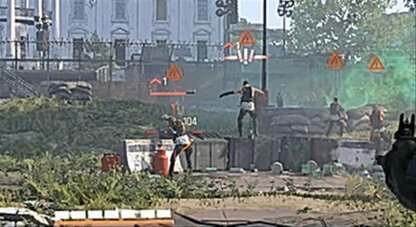 In The Division 2, enemy toughness are denoted by the color of their health bars. Red are your standard mobs, while purple are Veterans, and Yellow are Elites. They are unarmored and are easy to take down. Their health color is red and a few shots can kill them. Veteran Enemies are tougher than your usual red mobs. They have a purple health bar, and are armored. They require more shots to be taken down. 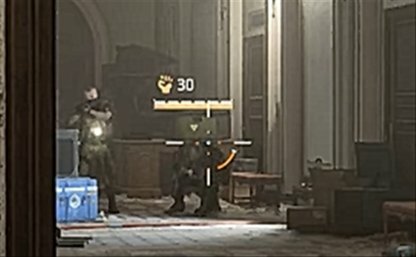 Elite Enemies have yellow health bars and have more armor. Their armor must be taken out first, before they become vulnerable. Similar to elite enemies but much tougher. 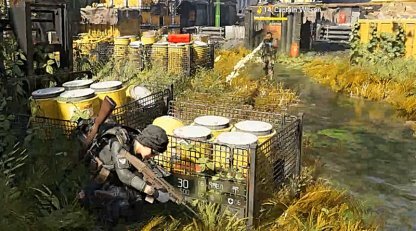 They have a name above their yellow health bar, and are the standard bosses for The Division 2. These are denoted by a chevron icon. They are your standard mobs that are easy to handle and have no specific weakpoints. No specific weakpoints for this type. 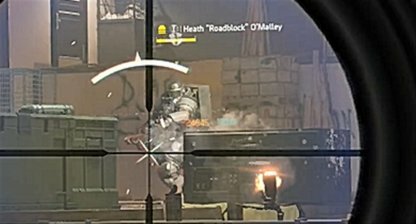 Try to aim for the head for headshot damage. These are denoted by a grenade icon. They usually stay mid range at a safe distance away from you and lob grenades at you to knock you out of cover. Outcasts Shooting the red satchel will make them explode. Also, shooting them as they prep their molotov will make them drop their molotov. True Sons Shoot their grenade pouch to make them explode. Black Tusk Aim for the weakpoint at their backs to make their grenades explode. Denoted by an ammo shell icon. Tank enemies are heavily armored enemies that move slow. They are usually equipped with LMGs, Grenade Launchers, or a Sledgehammer. They are denoted by a wrench symbol. 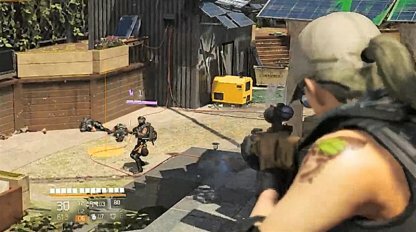 These enemies usually deploy a turret or gadget, and can repair their own turret. Hyenas Sends out RC explosives. Shoot out the explosives to take them out. Outcasts Sends out RC sawblades. 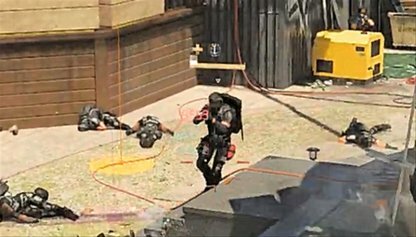 Take them out by shooting at the red pack on the RC. Black Tusk They can control and repair Black Tusk tanks. Take them out quickly to render their tanks useless. They are marked with a lightning symbol. 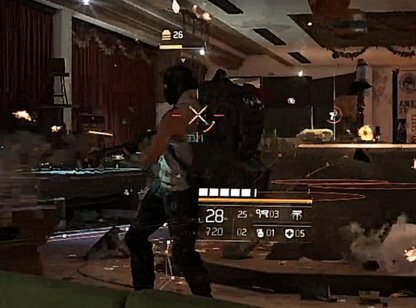 Rusher enemies rush in for a close range attack, either with shotguns, melee, or through a suicide bomb attack. Hyenas A melee focused rusher which can be lethal up close. Shooting the satchel on their sides gives off green gas that disorients and slows them down. Outcasts A suicide bomber which can be taken out by shooting his bomb strapped to his chest. When close, aim for the limbs to safely take them out. True Sons A rushing shotgunner who is lethal at close range. No specific weakness but be quick to take them out. Black Tusk Aim for the drones as they deploy to make them explode on the Rusher. You can also aim for their back side. 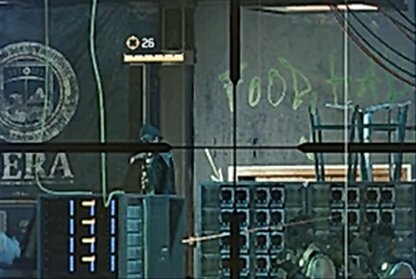 They are denoted with a crosshair icon. 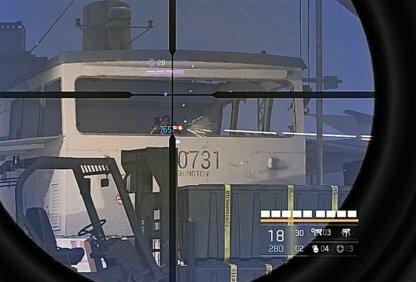 Snipers can take you out from a distance. They are usually spotted by a bright glint of light. Watch out for their laser as it can blind and confuse you. Hyenas Can blind players with their laser and deadly at long range. Take them out with your own marksman rifle. Outcasts Shoots explosive arrows. Shoot him as he prepares his shot to make his arrow explode on himself. True Sons A sniper equipped with a marksman rifle. 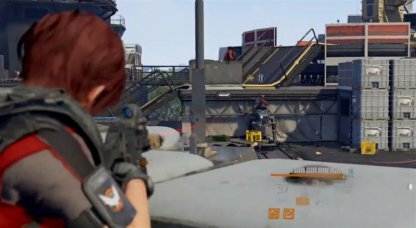 Take it out with your own long range attack and take cover when engaging. Black Tusk Equipped with scout drones that help them spot targets. No specific weakpoints. They are marked with a signal icon. 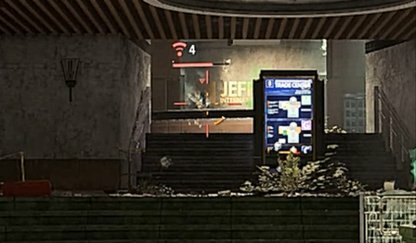 as Similar to the controller, they send out wireless gadgets to deter you. They can send out RC Bombs, and even RC Saw Blades. These are denoted by a cross. Watch out for these enemies as they can revive fallen enemies! Make sure to prioritize them. True Sons Heals fallen troops with his defibrilator. Shoot its defibrilator to shock enemies within his close proximity. Black Tusk Throws EMP grenades that disable your skills. 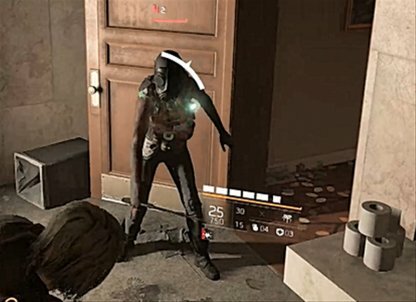 Veteran medics can throw EMP grenades that damage over time, so make sure to destroy them. Denoted by a shield icon. As the name suggest, they can take on a whole lot of damage. Unique to the Hyena faction, he carries a riot shield which can be shot through its eye hole. You can also shoot their exposed feet. They are marked with a 3-missile icon. They are usually machine gunners that mow down agents with suppression fire. 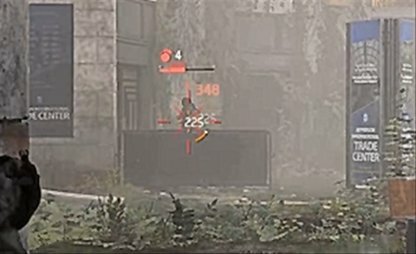 Outcasts Uses an RPK LMG to pin down agents. Take them out with your own suppresive fire. 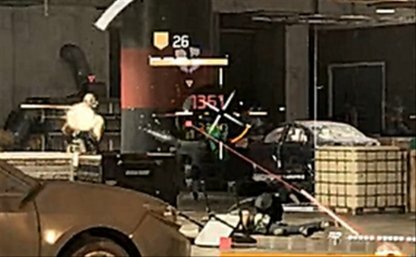 True Sons Uses LMG and goes prone to mow down targets. 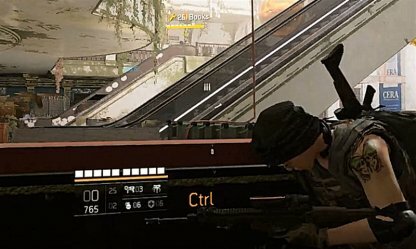 Shooting their ammo packs on their backs will make them stagger. These are denoted by a flame icon. They deal burning damage and can be lethal up close. Take them out from afar. Unique to the Outcast faction, they carry a flamethrower which can inflict burn damage. Shoot their propane tanks to make them explode. Unique to the True Sons faction, they are denoted by chemical blot icon. They rush in to ensnare agents with immobilizing foam. Shoot their foam tanks to immobilize them instead. A unique machine utilized by Black Tusk, these powerful 4-legged robots dish out massive damage from afar with its powerful cannon. Has no specific weakness. 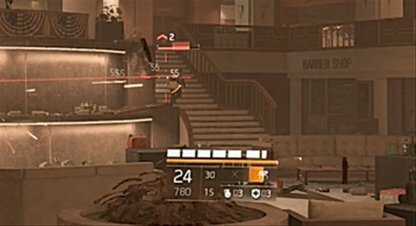 Take cover when engaging as its cannon can take out agents in just a few hits. Emits EMP when destroyed. Paramilitary warlords who use their firepower and combat expertise to take control of Washington D.C. Survivors of a forced quarantine who seeks after revenge on the society that imprisoned them. 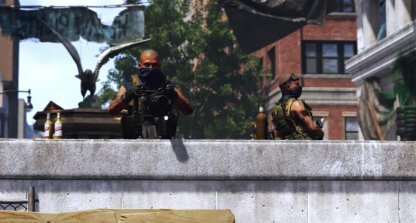 Be on the watch for their suicide bomber rushers. Opportunistic raiders that terrorize what's left of society. Watch out for the Rushers as they can quickly overwhelm you with melee attacks. 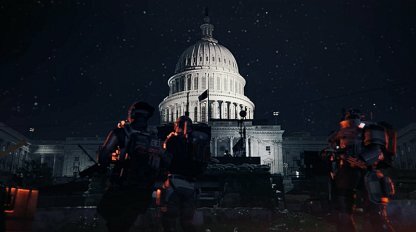 A private military organization that seizes control of Washington D.C. after completing the main story mission. They are very well equipped, and use advanced tech and weaponry that surpasses even that of The Division.